Outgoing sales associate offering superb customer service proficiency with positive attitude. Well groomed and punctual. 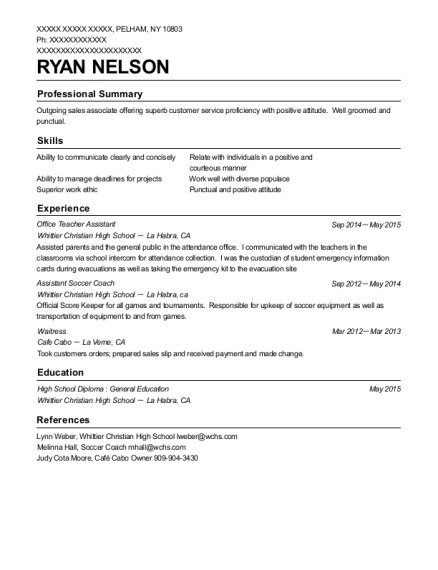 Assistant Soccer Coach Sep 2012－May 2014 Whittier Christian High School － La Habra, ca Official Score Keeper for all games and tournaments. Responsible for upkeep of soccer equipment as well as transportation of equipment to and from games. Waitress Mar 2012－Mar 2013 Cafe Cabo － La Verne, CA Took customers orders; prepared sales slip and received payment and made change. 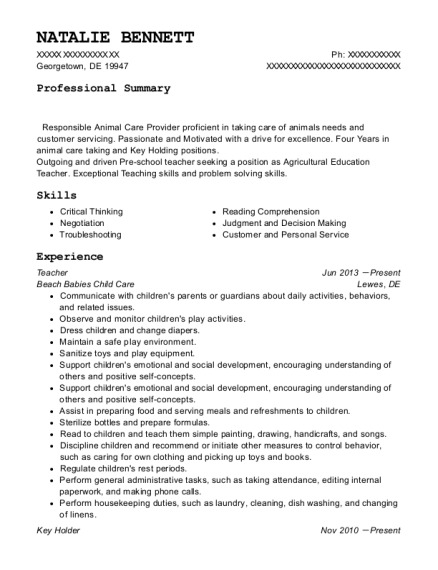 This is a resume for a Office Teacher Assistant in PELHAM, New York with experience working for such companies as Whittier Christian High School and Whittier Christian High School. 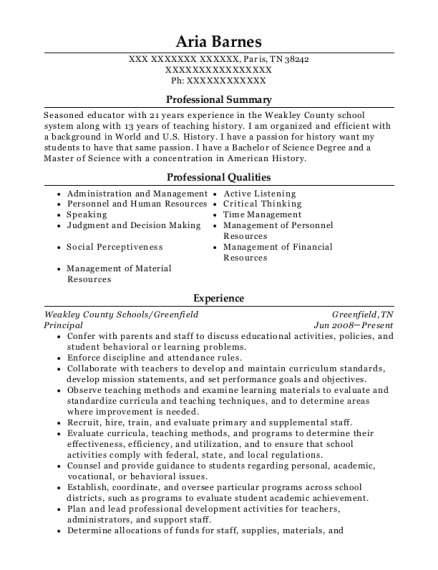 The grade for this resume is 0 and is one of hundreds of Office Teacher Assistant resumes available on our site for free. 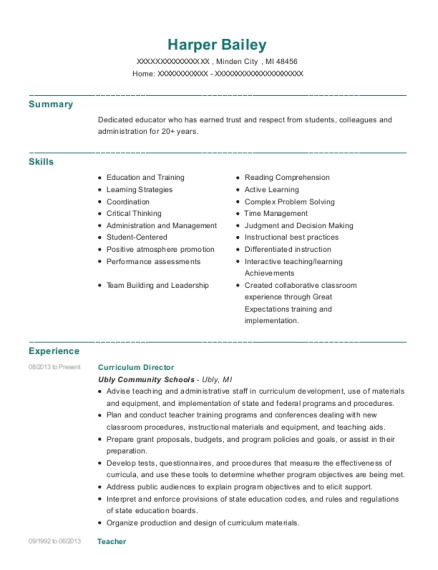 Use these resumes as templates to get help creating the best Office Teacher Assistant resume.